The GI-7B microwave triode operates as an oscillator and an amplifier in continuous-wave or pulsed mode with anode modulation in the centimetric and decimetric wavelength ranges. The triode is available in two variants differing in the type of cooling: the GI-7B with a heat sink for forced air cooling and the GI-70B with no heat sink for other systems of cooling. Height: 110.5 mm with heat sink, 97 mm with no heat sink. 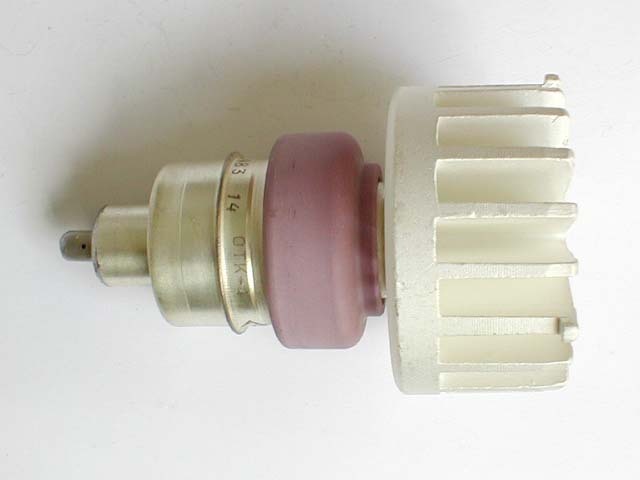 Diameter: 65 mm with heat sink. Mass: at most 330 g with heat sink, 170 g with no heat sink.